– International Sales Executive for Seafood: 05 person – Experienced in international seafood business, English proficiently, preferably in Chinese. – International Sales Executive for Agricultural products: 05 person – Experienced in international seafood business, English proficiently, preferably in Chinese. 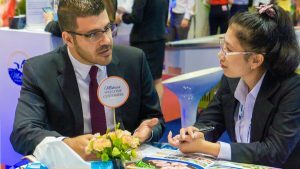 What will you do with the position of International Sales Executive? – Reward: Earn profit per order according to company regulations. – Working Regulations: joined all the regimes as prescribed by law. – Benefit: Bonus; Domestic and international travel; attend international fairs; Health care; Paid leave. – Allowance: According to company regulations. 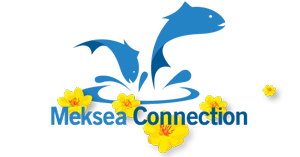 – Promotion: Created many opportunities for promotion and career development. – Probationary period: 2 months. Working place: District 9, Ho Chi Minh City. – At least 1 year of experience in sales related to seafood/agricultural products. – Being quick-witted, creative, able to work under pressure, fond of business. – Proficiency in English, those who can use Chinese/ Spanish/ Japanese would be preferred. – Experience in international trade would be a plus (especially seafood)/ or candidates would be trained by the company. How should you prepare your application? – Early applications would be highly preferred. 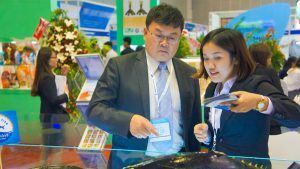 Mekong Seafood Connection (MEKSEA) was set up in 2010 in the knowledge that Vietnamese seafood though among the top richest sources still has not made its name popularly known for the variety and quality to consumers worldwide. We understand the shortest way to get Vietnamese seafood to the top ranks of the world is through the connection of various strengths from individual, capable producers by international standards and strictest control on quality and sustainability. On top of that is the commitment to more and more professional services so that customers from any corner of the world could put their trust into each order they place. 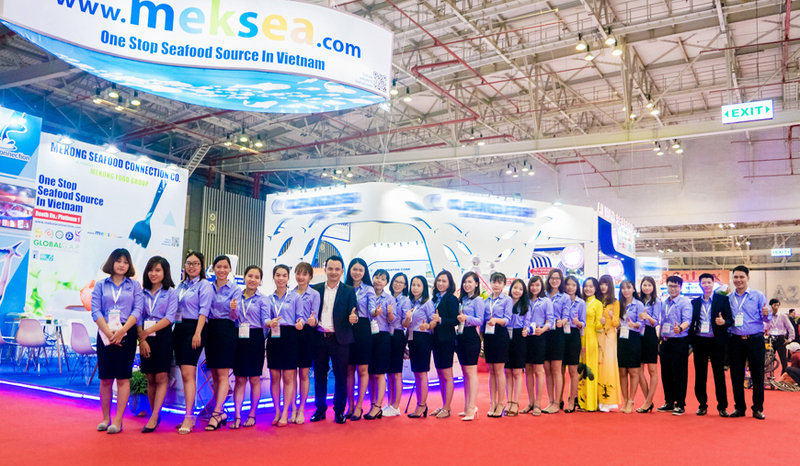 After the years of driving Mekong Seafood Connection in that direction, we are now proud that MEKSEA has been gradually gaining its name as a top prestige distributor in Vietnam having full manufacture cooperation with more than 100 most competent factories located across different material areas throughout Vietnam producing a full range of seafood to export to over 80 markets in the world.